When you arrive in Quito, you undoubtedly will see the great mountain that overshadows the city. Ever since my adventure started in Ecuador, I made it my personal goal to reach the top of this volcano: Cotopaxi. After climbing various smaller volcanoes to acclimatize, it was time to take on this ultimate challenge. Last weekend I finally made it to the Summit of the active Cotopaxi Volcano. 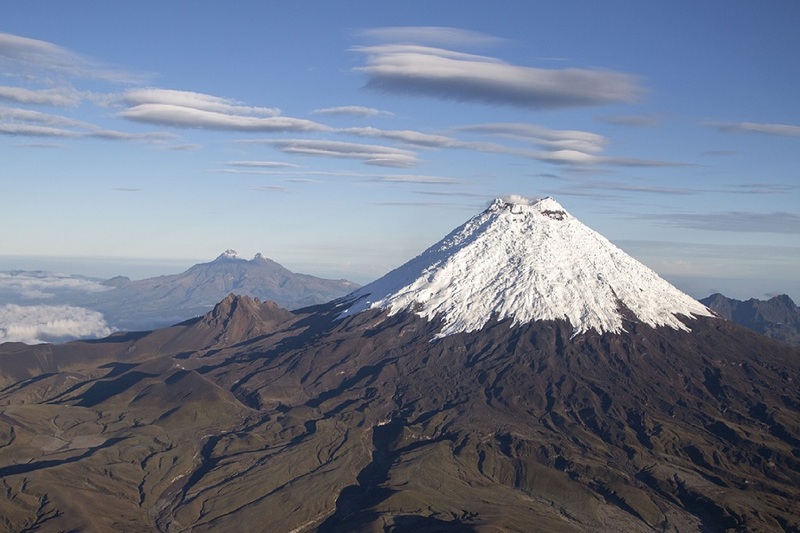 Cotopaxi is located just outside of Quito, and on clear days it can be seen from almost anywhere in the city. At 5,897 meters (19,347 ft.) above sea level, it is the second highest mountain in the country, just behind Chimborazo. It however, is the highest active volcano of Ecuador, and one of the highest in the world. It is very distinguishable from other mountains, due to its round shape and snow-white glacier. Last year, the national park closed the entrance because of volcanic activity; however, the danger has recently settled and the park is accessible again. 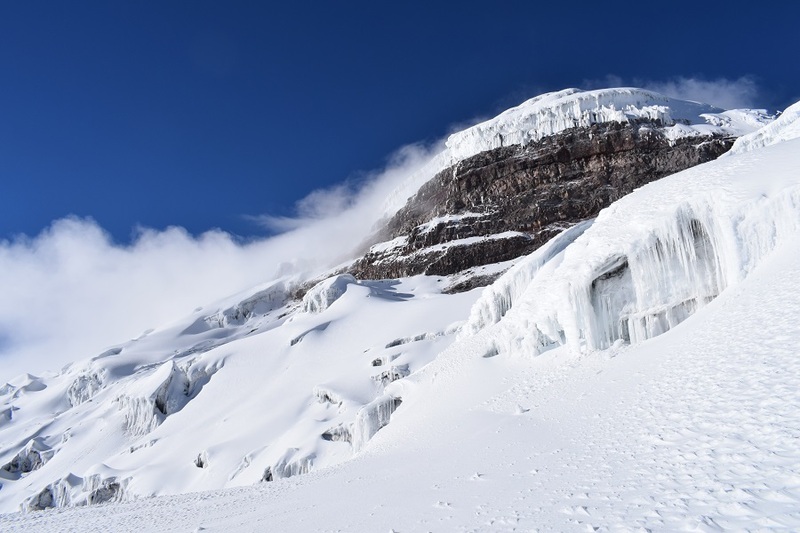 As Cotopaxi is not a very technical mountain, it is suitable for beginners who wish to discover mountaineering. 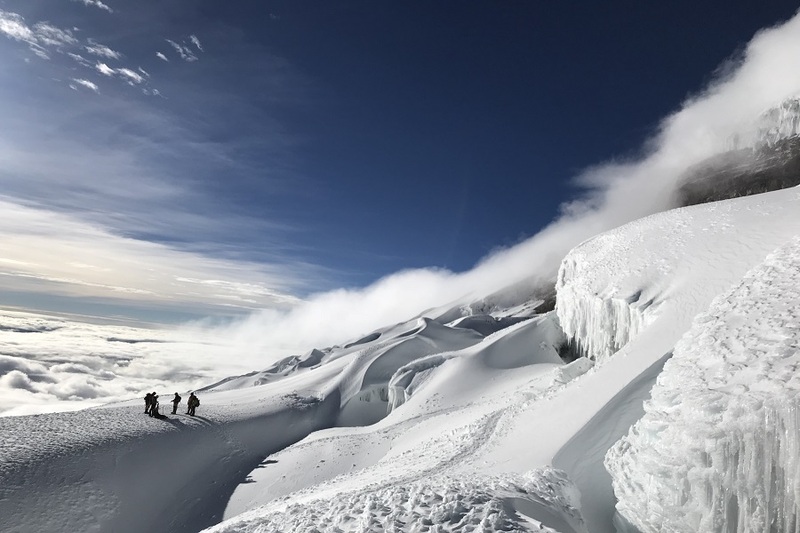 However, as it’s still almost 6,000m above sea level, acclimatization is recommended and needed for most people. Before I started this challenge, I did not have any experience with mountain climbing besides the casual hike. 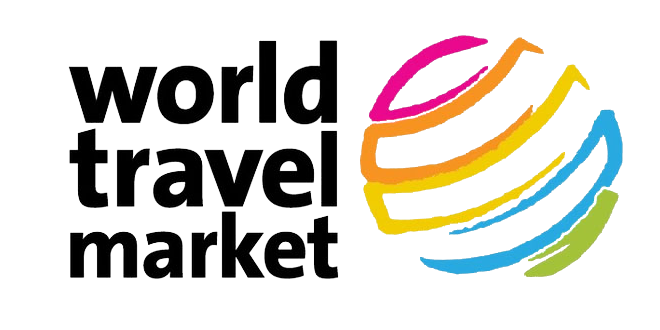 One pro is that you do not need to own all of the equipment required, as most tours provide this equipment. In order to get used to the altitude and to get somewhat fit, I did a few preparation hikes and climbs so I would know what I would be getting into. First up on my list of acclimatization climbs was Pasochoa, a lower mountain of 4,200 meters above sea level that is a more slow-paced and overall easier hike. It might be wise to start with this one, as it’s relatively easy. Don’t let yourself be turned off. The first time is always hard, as it takes time for your body to get used to the lower amount of oxygen! After a few days of rest, we moved on to Corazon, meaning “heart,” named for the shape of a heart that some people see in the mountain. We did not go to the highest point, located at 4,791 m., but got up to another mountaintop located at around 4,500 m. before heading back down. The next week I started by taking the Teleferico up to Rucu Pichincha, an Urban volcano that is known to be a good starting point for hikers and people who want to acclimatize. This hike can be done without a guide, in a few hours, and has a nice view overlooking the city. The summit is 4,696 m., and is a great start for you to discover whether hiking/climbing is something for you. The week after we went to Illinizas-Norte. This mountain is the smaller, less technical version of the two twin-volcanoes. It is significantly higher than others, at around 5,126 m. or 16,818 ft. A guide is required for this volcano, and a helmet and harness are recommended. There is some snow at the summit, and temperatures can be low, so it is important to be prepared! I noticed improvements with every single hike, breathing became easier. While I was breathing heavily after a few steps on the first mountain, it became much more natural on the subsequent climbs. My legs were very sore during the first hikes, but the fatigue was much less on other hikes. You really do get used to the higher altitude, and training truly pays off! After weeks of hiking and climbing to get acclimatized, the time has finally come. I packed my backpack along with all the other things I needed, and we made our way to Cotopaxi National Park. I was very lucky, as the sky was clear and we could see all of the volcanoes in the surrounding area. Once we arrived in the parking lot, we had to carry our backpacks up to the refuge, a few hundred meters higher, located at around 4,800 m. The refuge had a surprisingly good atmosphere, and there were quite a few people that also aimed to climb. Here, we had a delicious dinner, prepared our beds, and laid down to rest. I tried to catch some sleep, but was too excited to actually do so. After a few hours, the alarms went off at 11:00 p.m. and we all got up. We put on our warm clothes, drank some tea and coffee, and packed our backpacks with enough liquid, snacks and with our crampons and ice pickaxes. We went out at around 12; the skies were clear, and it was all dark except for the light of the near full moon. Along with another group of climbers, we started to slowly walk up the volcano. After around an hour, we had reached the completely white glacier. At the glacier we put on our crampons, attaching ourselves to each other with rope, and put our helmets on, safety first! After this quick stop we continued walking on the glacier, which went surprisingly easy with the crampons. The guides explained how we had to walk, on which side to wield the ice pickaxe and how to react in the event that someone falls into a crevasse. Crevasses are holes in the glacier, sometimes covered by snow. It’s not very likely that someone falls into one of those, as you primarily walk on the path that is well travelled. Every hour or hour and a half we made a short stop to regain energy and eat something. I really needed those short breaks, as I was very hungry and it helped to recover a bit. Unfortunately, the weather had changed, and it was foggy and windy, and my cereal bars and chocolate ended up being frozen. The outer layer, including my jacket, helmet, headlamp, pants, gloves and backpack, were totally covered in ice. Luckily, the breaks are short enough to not cool down, and I was not cold at all (except for my hands when I took off my gloves). The moonlight on the beautiful white glacier and the streetlights in Quito provide an amazing sight. I tried to take some pictures, but it is hard to take sharp pictures in the dark without a tripod. Anyways, you don’t want to take out your camera too often, as the cold drains the batteries rather quickly. It is safe to say that this might be the most physically challenging thing you will ever do, if you have never climbed a mountain like this before. At the very least, it was for me. We walked for hours, and although you walk slowly, you ascend very rapidly. At this altitude breathing is heavier, because of the thin air with less oxygen. The climb went like this: Put the ice axe in front of me, step left, step right, breathe heavily, put ice axe in front of me, repeat. I tried to listen to music to distract me from the breathing and the wind, but my headphones quickly became frozen and I had to take them off. What I did was try to imitate the steps of my guide in front of me, and just focus on that. This was helping a lot, but I admit that I was struggling to keep up the tempo at times. Around 4 hours in I became dizzy and needed a break to eat and drink something to recover energy. We were at a place where we could not stop, and we were forced to continue for what felt like an eternity. Finally, I could fall down and grab some snacks out of my backpack. The water I brought was slightly frozen. Cotopaxi was not going to win; I was dedicated to make it to the summit. Step by step, the summit became closer and closer, as noticed by the smell of sulfur gasses, which increasingly became stronger. We arrived near the summit too early and had to wait; the sun had not come up yet. Unfortunately, the smoke and gasses from the active crater were coming in our direction, making it very hard to breathe through the smell of sulfur. After 15/20 minutes, we stood up and started the last meters of the ascent! The most beautiful sunrise ever! Reaching the summit was glorious! It was the most beautiful sunrise I have ever seen. The golden sun over the clouds, with views of the many volcanoes, was breathtaking. It is a very emotional moment to reach the summit after such a hard journey. The enormous shadow of Cotopaxi Volcano showed how immense the mountain underneath us was. Without a doubt, it was all worth it, and we instantly forgot the hard work we put in to get here. We all high fived each other and were very happy we pushed through. The sun beams were warming and gave the required energy to get back down, but not before taking a lot of pictures! My hands were cold, but I was there now, and this was my only chance to take pictures, and I did not want to waste it! After around 20 minutes we started our descent, filled with an incredible memory. The descent would take around 3 hours, not exactly something to look forward to, as you just want to get back down and go to bed once you have reached the summit. However, it was now possible to see all of the beautiful ice shapes of the great glacier. When you suddenly see the distance and steep hills you ascended, it is impressive. Because of the dark, and your focus on nothing but your footsteps, the sudden view is mind-blowing. It felt like we were in a Disney movie. While I first hesitated, as I had no experience whatsoever and it seemed very hard, I am incredibly grateful that I got the opportunity to try this and make it to the summit. 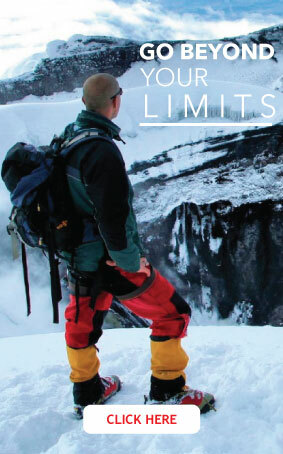 With proper acclimatization training, equipment and experienced guides it is doable. 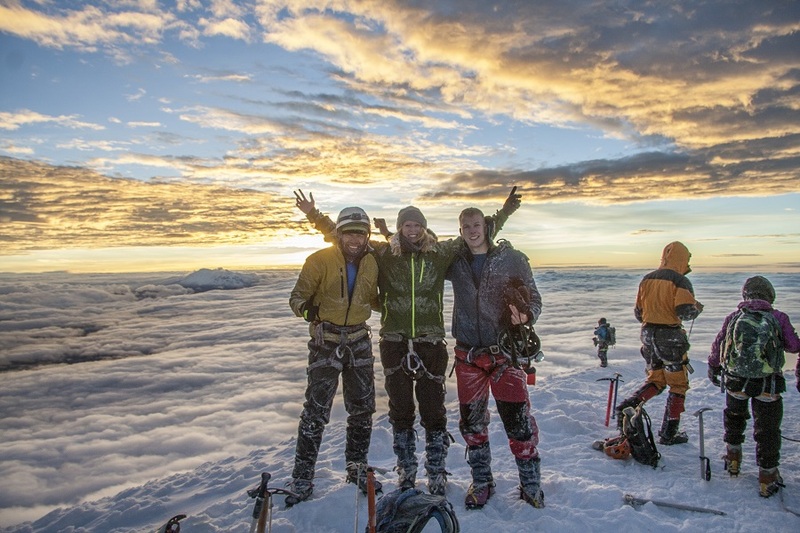 The Cotopaxi climb will leave you with unforgettable memories, experiences, and photos. I highly recommend contacting Gulliver Expeditions for climbing in Ecuador. 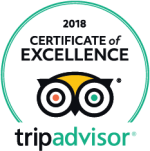 They are very professional and helpful with both the acclimatization process and the climb itself.